"the caviar of street drugs"
Cocaine is obtained from the leaves of the coca plant. It is known as Called "the caviar of street drugs" and it is also known of its street names such as Crack, Bazooka, Blanche, Cake, Coke, Lady, Star dust. Cocaine is seen as the status-heavy drug of celebrities, fashion models, and brokers. 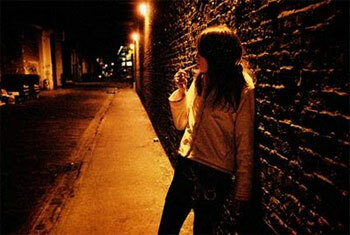 Cocaine addiction (or dependence) is psychological addiction on the regular use of cocaine. This addiction may result in physiological damage, lethargy, psychosis, depression, akathisia and fatal overdose. Cocaine use ranges from occasional to regular or compulsive use, with a variety of patterns between these extremes. Other than medical uses, there is no safe way to use cocaine. There are three types of cocain use: snorting (inhaling), injecting, and smoking.